The Cinematic Orchestra are back with a definitive new album that explores a timeless question of vital importance in 2019 – what to believe? Founding member Jason Swinscoe and longtime partner Dominic Smith have enlisted album contributions from collaborators old and new: Moses Sumney, Roots Manuva, Heidi Vogel, Grey Reverend (vocalist on Bonobo’s ‘First Fires’), Dorian Concept and Tawiah (Mark Ronson, Kindness). Miguel Atwood-Ferguson (Flying Lotus, Anderson Paak, Thundercat, Hiatus Kaiyote) features on strings and photographer and visual artist Brian “B+” Cross collaborated with Swinscoe and Smith on the album’s concept. The record was mixed by multiple Grammy winner Tom Elmhirst (David Bowie, Frank Ocean, Adele) in Jimi Hendrix’s legendary Electric Lady studios. The album artwork comes courtesy of The Designers Republic™ (Aphex Twin). The album announce is marked by the general release of new single ‘A Caged Bird/Imitations of Life’ featuring Roots Manuva. The track, revealed via an innovative website only accessible on offline devices – a paradox illuminating the album’s core question of what to believe, was available initially on 12″ in independent record stores and sold out in a matter of hours. The artists first collaborated in 2002 on fan favourite ‘All Things to All Men’, 17 years later the partnership has lost none of its urgency and searing insight as Roots Manuva laments how our “situation is strange to us, stranger things are claiming us” over a pounding, hypnotic rhythm section that concedes to the choruses’ soaring strings. The first leg of the “To Believe” tour begins in March and includes a three night residency at London’s iconic Roundhouse. In 2019 it is easy to see the band’s influence, jazz is all around us, London and LA have recently produced scenes more prolific than anyone expected; Kamasi Washington has been nominated for both Grammy and Brit Awards, Sons Of Kemet a Mercury Prize, BADBADNOTGOOD provide jazz soundtracks to high fashion shows and Kendrick Lamar has put the jazz palette at the top of the charts. When The Cinematic Orchestra released their critically acclaimed debut album “Motion” it helped pave the way for this moment, incorporating as it did an interpretation that had been lacking in the oeuvre and encouraging a new generation of musicians to break rules. “To Believe” doesn’t shy away from this ethos – its articulation of the band’s unique sonic language, encompassing not only jazz but the sort of transcendental orchestration combined with the elegant electronics of artists like Ólafur Arnalds and Floating Points, artists they have helped forge a path for, has never been more cohesive and compelling. 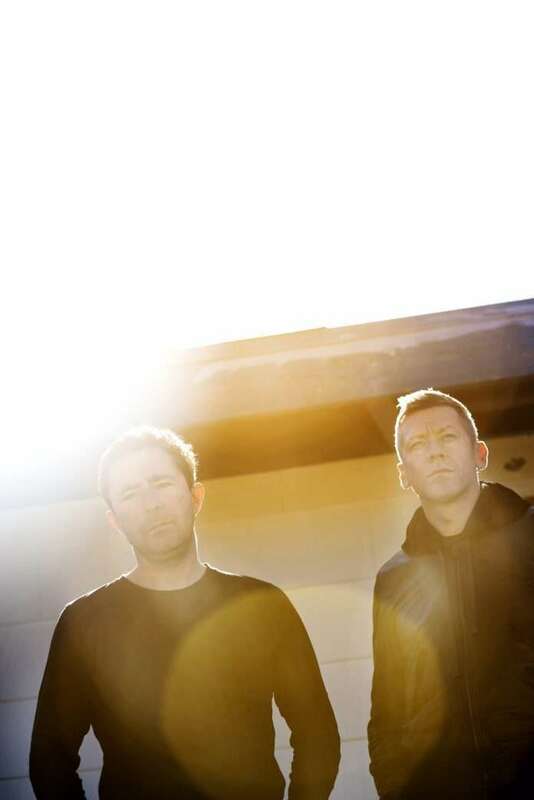 Since “Motion”, The Cinematic Orchestra have sold hundreds of thousands of albums, generated almost half a billion streams and enjoyed critical support from the likes of Pitchfork (8.6 for second album “Every Day” which featured two collaborations with legendary Art Ensemble of Chicago singer Fontella Bass), The Guardian, New York Times, Le Monde, Resident Advisor, Fader, Mixmag, NME, Crack (whose Simple Things festival the band headlined in 2016), Rolling Stone, Gilles Peterson, Benji B, Jason Bentley, Zane Lowe, Annie Mac, Lauren Laverne, KCRW and Mary Anne Hobbs. ‘To Build A Home’ has been synced to dozens of films and TV shows including the Orange Is The New Black finale and This Is Us, adverts include Burberry, Armani, Nike and Apple. The ‘To Build a Home’ short film was directed by Andrew Griffin and stars Peter Mullan (Trainspotting, Harry Potter). The band have also been touring, consistently performing to larger and larger audiences and selling out the likes of London’s Royal Albert Hall, Philharmonie de Paris, Rome’s Auditorium Park Della and the Sydney Opera House. Coachella, Glastonbury, Fuji Rock, Montreux and Sonar have all played host to the band’s much loved live performances. Beyond the obvious they have also appeared at the Directors Guild Lifetime Achievement Awards for Stanley Kubrick and New York’s Summerstage with the legendary Majavishnu Orchestra with John McLaughlin, they curated a series of events at London’s prestigious Barbican Centre featuring commissions from the prodigiously talented Austin Peralta (RIP) and seen the likes of Dorian Concept, Thundercat, Moses Sumney and Gilles Peterson support them on stage over the years. They scored Disney’s feature length nature documentary “The Crimson Wing” including the track ‘Arrival of the Birds’ which featured in the closing scene of the Oscar Winning Stephen Hawking biopic “The Theory of Everything”. They also released a Late Night Tales compilation featuring music from Flying Lotus, Burial and Björk. It’s hard to believe it’s been 12 years since The Cinematic Orchestra released their last studio album, “Ma Fleur” in 2007. Did you achieve what you hoped to in the time since? 12 years from now will be 2031. What will you do before then? We are powerless to answer of course, mere passengers in our own existence, improvising as events deliver themselves into our lives, struggling with the question – what to believe? Births, deaths, success, failure. Money, drugs, temptation, rejection. Trump, Brexit, fear, hope. Art, relevance, pressure, belief. 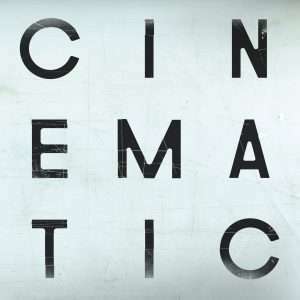 It’s this that accounts for the past 12 years for The Cinematic Orchestra, it’s this that characterises the process of recording the new album and it’s this that has been distilled into a work that is not only their best and most definitive to date but by asking these questions it’s also that which best reflects the great beauty in life.